Comtrend, a global supplier of advanced networking solutions, announced today that two of its products have been named Finalists in the 2012 Communication Technologies Platinum Awards. The honored products are: Comtrend’s PG-9141s, a HomePlug AV Powerline adapter with ClearPathTM Technology, and the WAP-5836, HD Wireless Extender. “We’re honored that two of Comtrend’s products were selected by Communication Technologies Platinum Awards for 2012. It is a validation to our entire team’s effort at bringing innovative technologies to our customers. Being included in this prestigious award is the beginning of Comtrend’s entrance to the world stage of retail Home Networking equipment” says John Castreje, General Manager at Comtrend- Americas. PG-9141s Powerline Adapter: Home Networking/Automation Technology, AND Data Communications Equipment Comtrend’s PG-9141s is a departure from business as usual in the Powerline market. With the inclusion of ClearPathTM circuitry, this technology uses not two, but three of the home electrical wires, including the Ground wire, to intelligently route traffic. This game-changing advent improves coverage and throughput- even through standard power strips. 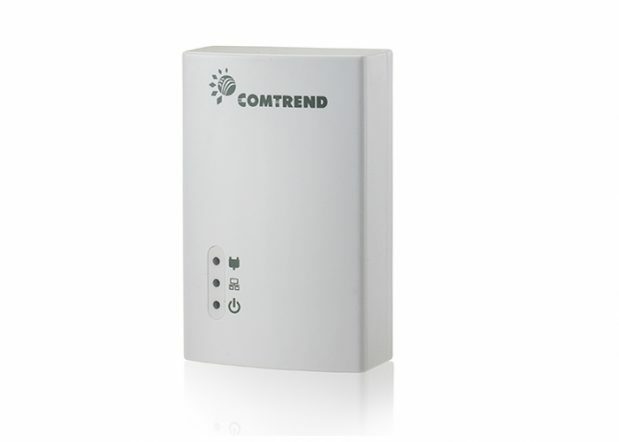 Comtrend is competing head-to-head against Motorola Mobility in the Home Networking/Automation Technology category. WAP-5836 Wireless HD Extender: Wireless and Wi-Fi Product/Service The WAP-5836 uses brains and brawn- transforming standard Wi-Fi N into a 3×3 MIMO WiFi connection with implicit beam-forming technology. This allows priority traffic like HD Video and online gaming to be sent at high speeds, up to 450Mbps, and with greater distances- through numerous obstacles. Comtrend is competing against three other manufacturers, including Actiontec Electronics in this category. ClearPath is a registered trademark of Sigma Designs, Inc.